BGPexpert.com - Best IPv6 wishes for 2013! Here are my slides (PDF, 2.7 MB) for my lightning talk at the internet new year's 2013 event later today. It's in Dutch with English subtitles! 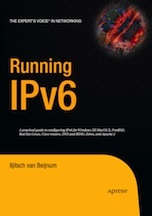 You can read the full story at Ars Technica: IPv6 takes one step forward, IPv4 two steps back in 2012.